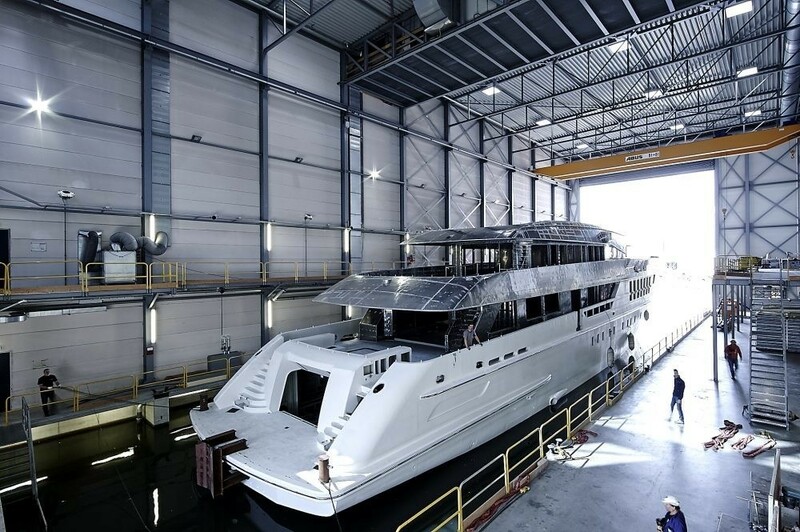 This striking 55m Fast Displacement superyacht with sharp lines and eye-catching exterior was built by the renowned Dutch shipyard Heesen and launched onto the water in 2017. 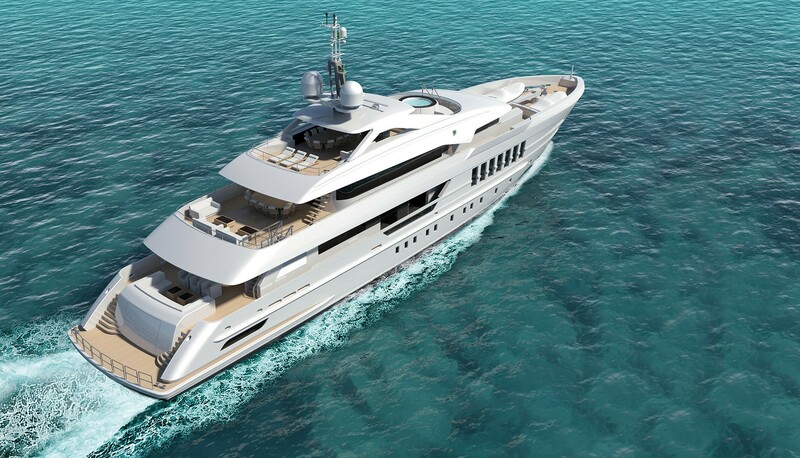 With spacious deluxe accommodation for up to twelve guests and vast socialising and relaxation areas, she is the epitome of luxury and ultimate cruising experience. 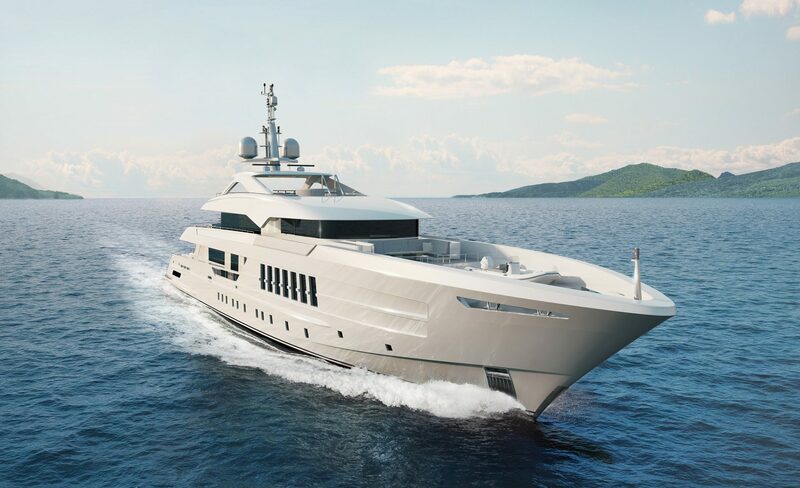 The yacht offers everything from efficiency, performance and style right through to comfort and safety in one ultimate package of 740GT. 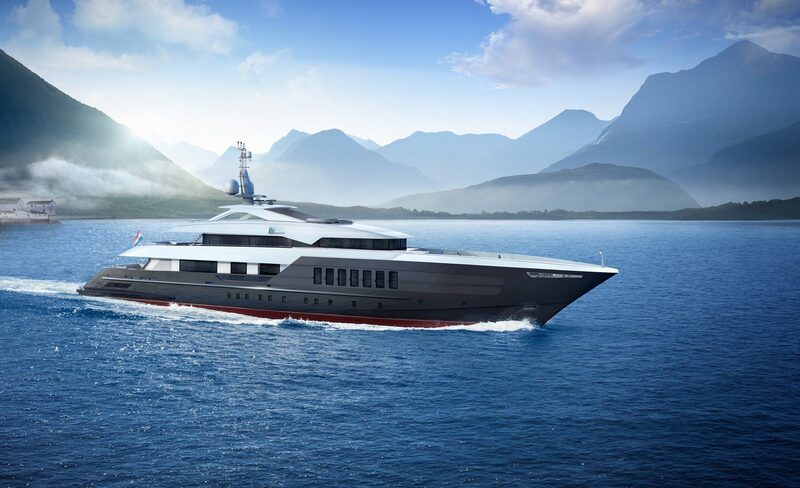 She was designed by Omega Architects and features a fast displacement steel hull for exceptional on-water performance, reaching a top speed of 16.6 knots. 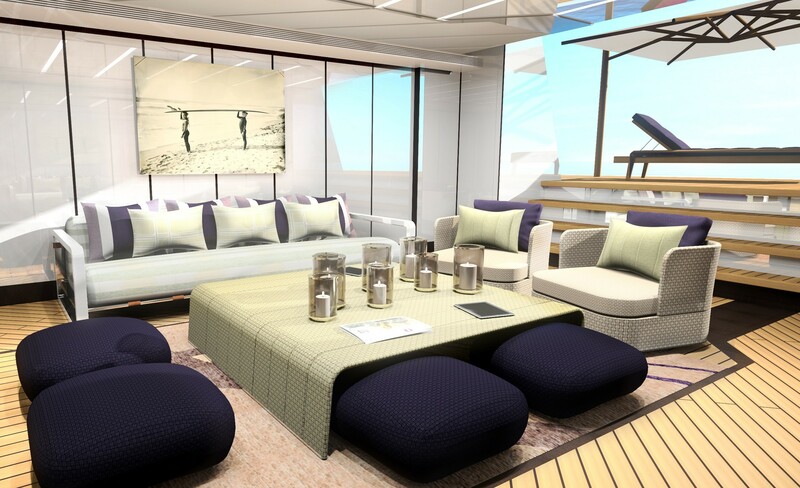 Roman Alonso of RADYCA was responsible for creating her beautiful and clean interior, with modern and sophisticated elements, offering those staying on board a relaxed and inviting atmosphere. Natural hues have been used throughout, with the main feature being the open-grain white oak combined with varying tones of wengé, taupe and grey lathers, woollen carpeting as well as lightly textured suedes. White Arabescato and Grecale marbles have been used to bring attention to the lovely clean lines and purity of the overall ambience. Customised loose furniture from Europe and America has been carefully selected and placed to complement the overall design of the vessel. 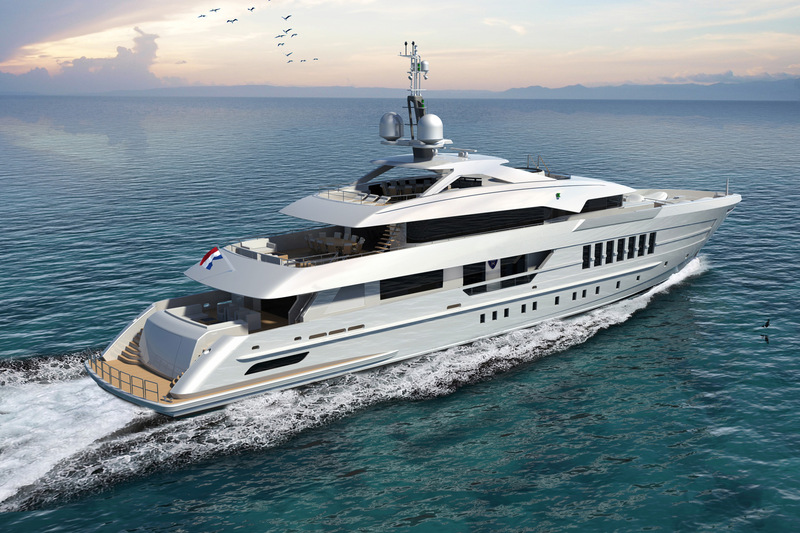 One of the focal points of this 55m Heesen is her sundeck, where a Jacuzzi tub plays an important role in catering for guests well-being and relaxation, surrounded by comfortable sun pads. Furthermore, there is a possibility for alfresco dining around the large oval table, as well as for more relaxation on additional sunbeds. The upper deck is yet another great area to dine under the open sky or simply relax on the sofas either outside or inside, enjoying the vast 102 square metre sky lounge that is wrapped almost entirely in glass, providing fantastic 180-degree views. The main deck is the home to the main saloon and the adjacent formal dining area where guests are served mouth-watering dishes prepared to fit their desires and tastes. Moving outside, there is a large U-shaped sofa with coffee tables and additional chairs to relax. 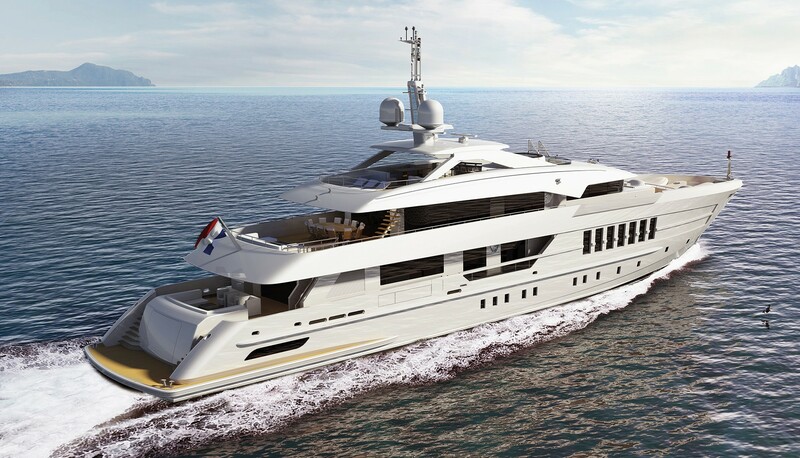 The 55m FDHF Heesen yacht is powered by two MTU 8V 4000 M63 engines, reaching a top speed of 16.6 knots and a cruising speed of 13 knots. She has a range of 4,500 nautical miles at 12 knots. There is also plenty of storage for water toys and tenders. Accommodation spreads over six well-appointed and spacious staterooms with top amenities and ensuite bathroom facilities. 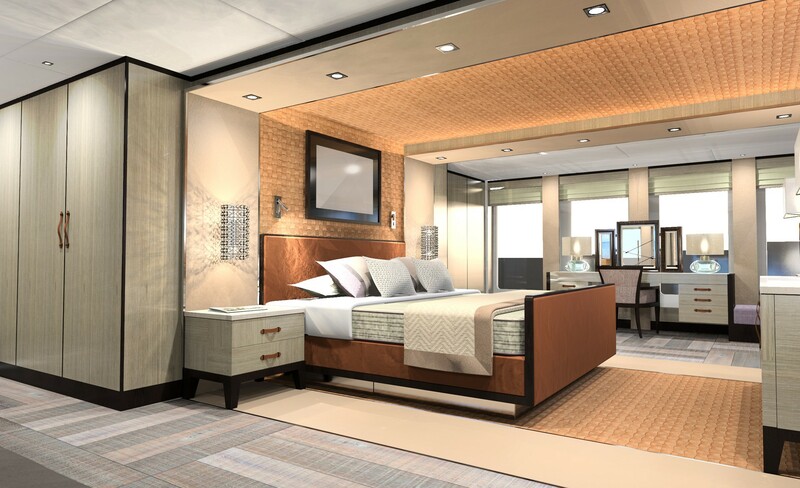 The suites include the full-beam owner’s stateroom on the main deck, a large VIP stateroom, as well as four additional guest cabins located on the lower deck. Selection of modern water toys, tenders and other amenities is at guests' disposal for unlimited fun and excitement during holidays. 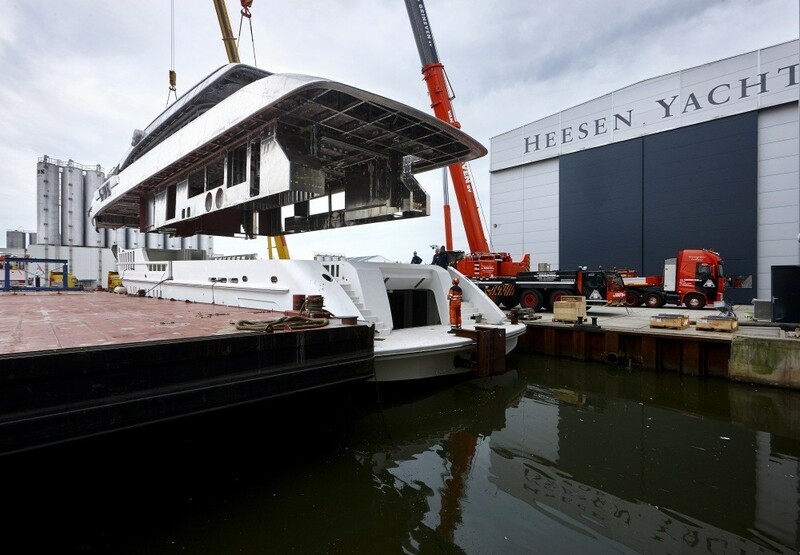 Two tenders are readily accessible on the foredeck for efficient launching and recovery.